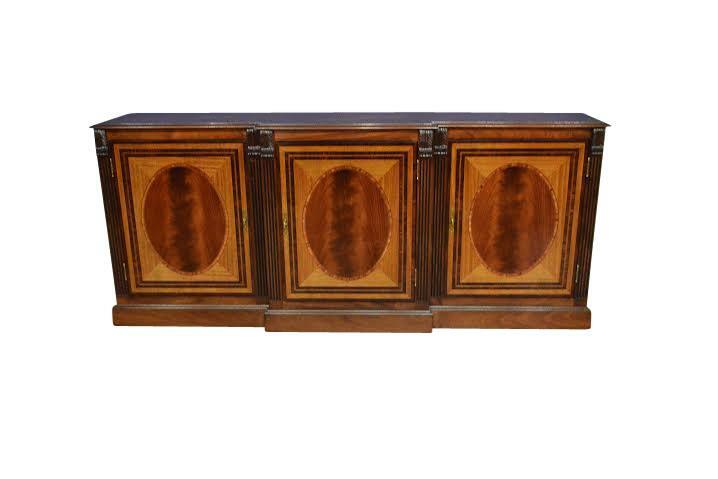 Description: This large 3 door buffet is made of mahognay with satinwood, rosewood and tulipwood inlays. It is 84 inches wide but still narrow at less than 18 inches deep making it ideal for longer narrower dining rooms in need of extra storage space. 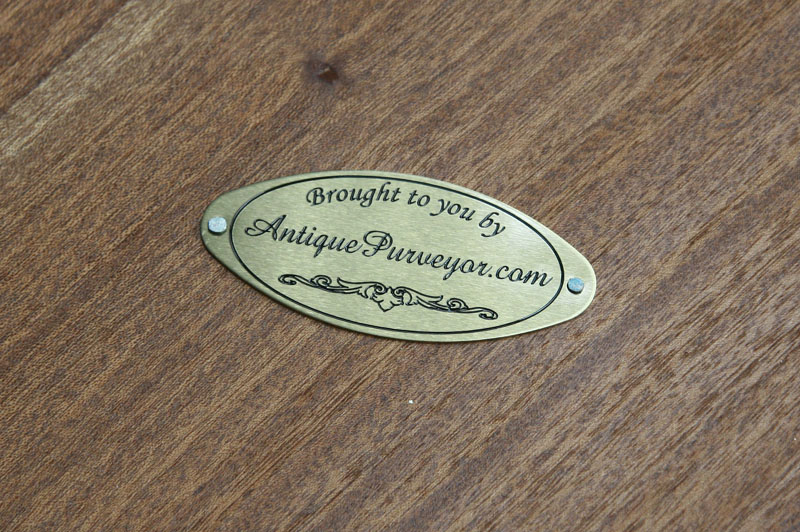 The solid brass hardware is done in an anitqued finished and there are acanthus leaf carvings next to each cabinet door. The top of the buffet uses a cathedral mahogany for a softer flowing field while the doors use a flame crotch mahogany to really make the cabinet pop. This buffet is also customizable for someone looking for a similar cabinet in a slightly different size.